A piece written for The Idler. This week Western Christianity celebrates just about the most profound spiritual truth that human beings have discovered, as Jordan Peterson might put it. It is that death is not the end of things but is, rather, the pathway to life. It’s not, actually, a Christian truth. It’s a universal one. Plato wrote about it a few centuries before the first Easter. He noted that “those who philosophize rightly make dying their care.” His aim was to show how it’s possible in this life to establish an awareness of the part of ourselves that doesn’t die because it is eternal. We all sense it, in certain moments: there’s a dimension to our experience that lies outside of space and time. On occasion, it shines through – when the song of the spring robin sounds from a tree; when the beauty of an architectural masterpiece shows its perfection; when the radiant interiority of stars and sunflowers is captured by a Vincent van Gogh; when the turquoise sky of the early morning mirrors “eternity’s sunrise”, as William Blake said. 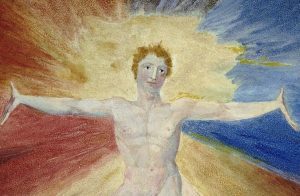 We’re not one but two, “that is, each person is simultaneously a conscious constructed self or socialised ego and a much larger complexly conscious field that normally manifests only in non-ordinary states of consciousness and energy,” explains the psychologist of religion, Jeffrey Kripal, in Secret Body. Spiritual traditions represent this deeper sense of things in various ways. In the West, it’s been common to project it outward as God. In the East, it’s common to introject it inward as the Dao or Brahman. In the modern world, it’s common to half feel it in altered states or experiences of the paranormal. We don’t see our twoness, or don’t quite trust it exists, when we’re too heavily identified with the side of life that’s preoccupied with what goes on in space and time. You’re in it when you anxiously reach for your phone; worry about whether the front door is locked; stress about the breakfast stain on your shirt; horribly fear the results of the blood test. Religions and wisdom traditions, including Christianity, offer paths that awaken the eternal perception. They’re tricky – the road less travelled, the narrow gate, as Jesus put it. And that’s because they require a kind of death. “Those who try to make their life secure will lose it, but those who lose their life will keep it,” Jesus is recalled teaching. To see the timeless, the time-bound has to be regarded with an artful combination of curiosity and disinterest. “Sacrifice” is the Christian term; “detachment”, the Buddhist. It probably involves the most profound experience of loss. “The great religious conceptions which haunt the imaginations of civilized mankind are scenes of solitariness: Prometheus chained to his rock, Mahomet brooding in the desert, the meditations of the Buddha, the solitary Man on the Cross. It belongs to the depth of the religious spirit to have felt forsaken, even by God,” realised the philosopher, Alfred North Whitehead, the one who also said that all western philosophy is footnotes to Plato. That said, the realisation on the other side of the desperation is very great. It’s nothing less than life in all its fullness. So, you might wonder, why aren’t the churches full this Easter? Why aren’t people turning to the good news that eternity is theirs to share but are, instead, deserting the pews in droves? One answer is that the church has forgotten what it’s about. It’s lost touch with the eternal life that was its wellspring. If you do darken the church doors you’ll probably hear a subtly different but profoundly altered message. It won’t be that Jesus showed the way to life through death. It’ll be that Jesus died for you. It won’t be an invitation to discover union with God in the depths of the soul; it’ll be an invitation to contemplate the vivid agony of a man on a cross who is said, thereby, to show his “love” for lost, wretched sinners. In my view, modern people are waking up to the perversity of this image. What kind of God needs his son to undergo agonising torture? How could the terrible death of one man, 2000 years ago, free me now? The perennial truth lived by Jesus has morphed into Jesusolatry. “We worshipped Jesus instead of following him on his same path. We made Jesus into a mere religion instead of a journey toward union with God and everything else,” Richard Rohr laments, a monk who is one of the few Christians trying to undo the mess the church has made of the message. My sense is that the Reformation has got much to do with it. The same movement that taught us to worship work, and disdain the gift of idleness, also taught us to curse and disdain inner life, the place where the eternal is found. “Total depravity” was Calvin’s judgement on the human soul. Luther wrote, “I was a sinner before God with an extremely disturbed conscience.” The dubious genius of the Reformers was to project their personal troubles across Europe, aided by a corrupt medieval church. The tragedy of all this for Christianity is particularly poignant in the Church of England, this year. The Independent Inquiry into Child Sexual Abuse (IICSA) has been looking at the activities of individuals like Peter Ball, the former bishop of Lewes, who it is no exaggeration to say is the church’s very own Jimmy Savile. He is, no doubt, an ill man. But he thrived in a church that offers fertile ground from which the canker of spiritual abuse sprouts. I recently attended a training day on spotting spiritual abuse. We were offered a series of test questions. Does this church or religious group include leaders or authorities that it feels unsafe or risky to challenge? Do its ethical teachings directly or indirectly humiliate people? Are core ideals, like denying oneself, used to encourage self-denigrating behaviours? Is a free flow of criticism discouraged or prevented in the name of faithfulness or tribal loyalty? A damming affirmative response can be given to all four of them for key parts of Christian churches. Western Christianity hasn’t, for the most part, begun to realise how unattractive it’s become. The abuse scandals are not just about a few bad apples. They’re symptomatic of the aberrant theology routinely preached. But the MeToo age won’t put up with it any more. It wants the truth, at all levels of human experience, be that personal, political, or spiritual. Until Western Christianity regains contact with the soul of Easter, known by others like Plato and the Buddha, too, it will rightly be judged and continue to be rejected.